This is a composite of several experiences from Trexin client interactions we have encountered where companies have engaged in application consolidation into a Cloud/Hybrid model. Typically we encounter a global company with disparate systems and multiple versions distributed in various geographic locations with different teams and governance models. This should be a very familiar scenario to the vast majority of people in the IT field. As a consultancy that prides itself on its strategically aligned, delivery-centric ability to apply technology solutions to business problems, Trexin does just that. As was stated previously, one of the common scenarios we encounter is a company with global presence that has grown, among other ways, through merger and acquisition. The resultant inventory of applications and systems causes regional and local silo-ing of information and duplication of resources. We commonly see companies still trying to get off of Lotus Notes and onto Exchange and SharePoint that also want to adopt technologies like Jabber and Lync. Below is a graphic of composites that demonstrates the “typical” situation. Any given company doesn’t necessarily have all four. Some companies may only have a North American presence with a toe stuck in Europe and back office operations in the form of offshore resources in India, Mexico or Eastern Europe. Even then, however, they will often have offices in Canada which still presents the same international trade and regulatory hurdles which leads to differing governance and compliance rules and requirements. With the advent of cloud technologies and the maturation of their service offerings, many companies are recognizing the cost savings and efficiencies of scale these companies provide. 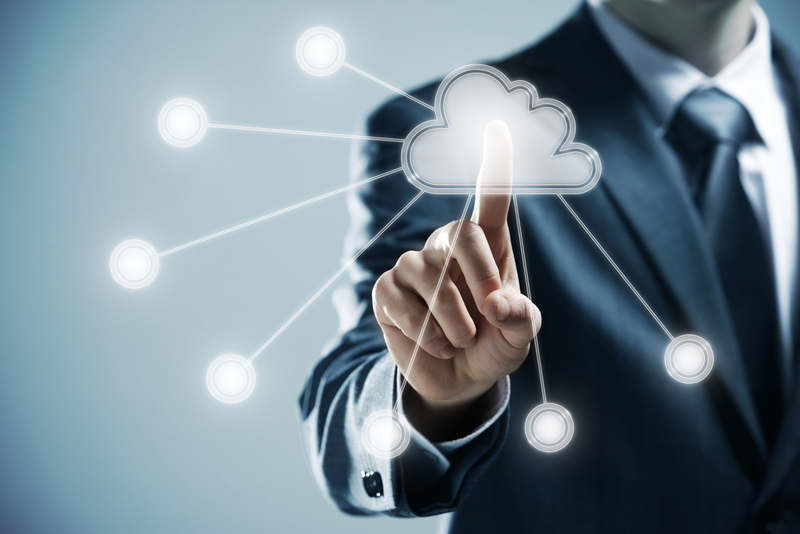 As a result, such cloud-based models are becoming the norm and those who do not adopt them are recognizing the competitive disadvantage of not adopting such a model. What would such a model look like? You might be asking yourself and the answer shouldn’t come as much of a surprise but that is not to say understanding the target state and getting there are the same thing. You could just as easily leverage AWS instead of, or alongside, Azure. Box.net and Google Docs in place of Office 365. However, this model makes certain assumptions. It’s a fact that has been reported upon, applauded and evangelized: the Cloud allows you to convert capital expenditures into to operating costs as well as makes many aspects of IT behave more like a utility. These are great points and have been well discussed and are quite important. For IT management the real benefit is allowing technology to move up the value chain and act more strategically and service oriented. With the advent of tools like Splunk, BI is no longer the only area of the Enterprise to benefit from innovations and advances in the areas of Big Data and analytics. Operational intelligence, the gathering and analyzing of machine data, can provide a whole new level of insight allowing the tactical side of IT to be better aligned and responsive which naturally allow such organizations to act with. Agile is another area that is an oft-discussed area of technology development. The benefits are obvious, development environments can be easily spun up in Amazon Web Services and Azure. Collaborative tools such as Gitbub and the rather quirky Plunker are means to create and share development ideas and POCs. It also allows operations and infrastructure teams to easily spin up testing environments and create baseline images for a variety of environments across SDLC and ADLC stacks. Those teams can architect more robust and fault tolerant hybrid environments as well. Open platforms such as Docker are allowing deployment of cloud developed applications with less friction across environments in a more iterative fashion. Below in Figure 3 is a pretty clearly delineated three phase models that illustrates the process and incumbent activities for mapping and migrating the application stack for the previously discussed disparate, continental original state towards the target model. First, it demonstrates the need for a thorough discovery phase that identifies the various systems, versions of said systems, dependencies and requirements. Next, it walks through the need for a well thought out planning process and as you can see punctuates the need for a well structure communications plan. Lastly, the migration activities are listed across the application and infrastructure stack. Buoying these three phases is a focus on daily operations and support. This is a key consideration for such an initiative. Ensuring that the day-day business experiences the fewest impacts possible and being able to respond accordingly in a timely fashion to any such incidents is key to maintaining your business partner’s trust which will be key in the “new reality” phase of operations. Figure 4 is a more detailed (though abbreviated) example of mapping applications along with vital information for the applications that will be getting migrated. Identifying regional ownership split between the business and technology is a key consideration in identifying the requirements for such a process. You will find this to be quite valuable in constructing your timeframes. It will allow you to determine such business events such as blackout periods when changes simply can’t happen. This will be important in identifying your stakeholder’s priorities. This process will also allow you to develop the necessary relationships with the business partners which will be of utter importance throughout the migration process and ensure you have allies once your applications are in the cloud. The first step towards reaching any solution is identifying the problem. You don’t want to be Chicken Little announcing the sky is falling just because your company’s technology assets have the geographic profile and inventory illustrated in Figure 1. The key is to listen to your business partners, meet with operations colleagues on a regular basis and if you begin to hear a consistent narrative that indicates that incompatible systems, frequent downtimes, business travelers having difficulty getting support on the road are causing problems then you will want to begin to construct your case for developing your own Consolidated Cloud Collaboration model. I’ve included the diagram in Figure 5 to provide some baseline architectural perspective on what such a model would contain. Here we have used Office 365, Azure and ADFS as key architectural elements and defined some of the replication and syncing activities that occur and how they relate to the user experience.